Multiple sclerosis (MS) is a chronic illness that presents many different symptoms since it can affect any part of the human body. While no two people living with MS will experience the same symptoms, according to healthline.com, there are some more common ways the condition affects the body. Cognitive issues such as brain fog, memory and concentration problems are common for people living with MS and many experience vertigo or dizziness. In rare cases, patients may also suffer from tremors or seizures. Vision problems are often one of the first signs of MS. Double vision, blurred vision and eye pain can come on suddenly but in most cases, they are temporary and are due to inflammation of the muscles around the eye and can be rectified with medication. In rare cases of MS, damage to the brainstem may result in hearing problems or deafness. Again, the majority of cases are temporary but some may suffer permanent damage to hearing. Around 40 percent of people living with MS may experience problems with speech, usually slurred speech or trouble articulating. Some may also have trouble controlling the volume of their speech. Rarer still, some people may experience problems with swallowing which can be serious as it can lead to choking. Speech and language therapists can help with both speech and swallowing problems. 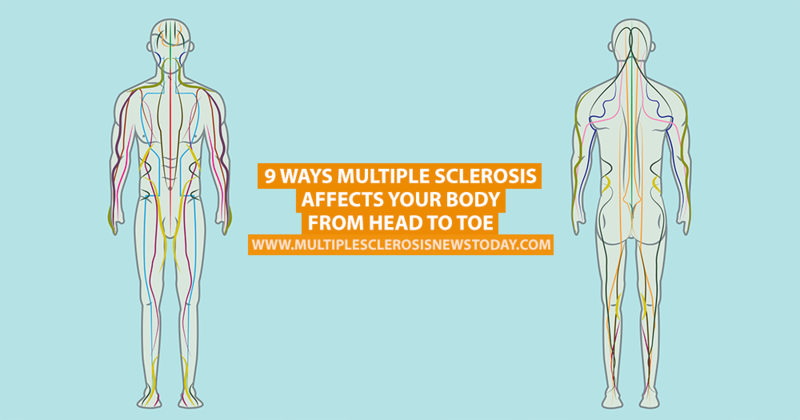 The limbs are most likely to be affected by multiple sclerosis, with patients suffering from a variety of ailments such as pain, numbness, and tingling. Both fine and gross motor skills are involved as hand-to-eye coordination may be affected and many will suffer from balance problems or have difficulty walking as the disease progresses. Nerve damage can lead to problems controlling the bladder and bowel. Bladder problems are extremely common in MS affecting around 80 percent of patients. Bowel problems such as constipation, diarrhea and lack of bowel control can sometimes be managed through diet and exercise but in some cases, medication or surgery may be required. MORE: Vlogger explains how she overcame her bladder issues. 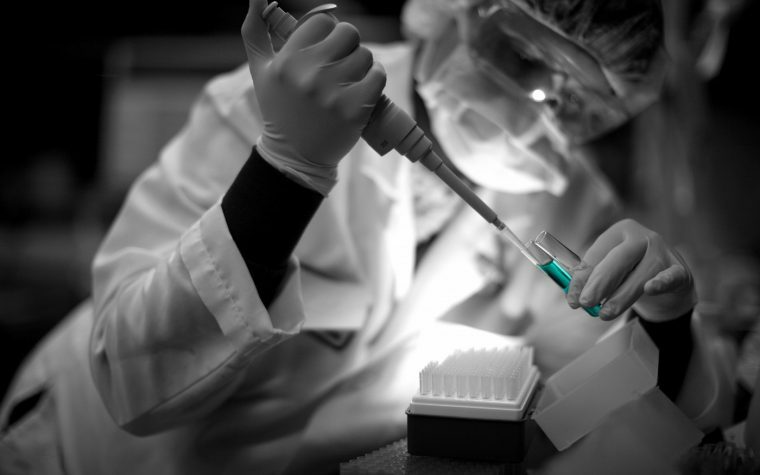 There is no evidence that suggests MS affects fertility in men or women. And for women, many find that their MS goes into remission during pregnancy. However, between 20 percent and 40 percent will relapse after they have given birth. Sexual dysfunction is common in MS, this could be due to a variety of reasons both physical and emotional. Nerve damage, fatigue, general pain and the effects of depression can all have an effect on a person’s libido. However, these can often be overcome with some medication or a little bit of planning. The regular use of steroids and lack of exercise puts multiple sclerosis patients at a higher risk of osteoporosis. Exercise is important to help keep bones strong and healthy and to avoid excess bone density loss. People with multiple sclerosis are also more likely to be deficient in vitamin D, which plays a vital role in bone health. Researchers have discovered that women with MS are more likely to suffer from cardiovascular problems than those without the condition. Regular exercise and a good diet are essential to help avoid problems such as stroke, heart disease or heart failure. MORE: Important things to remember if you have MS. Tagged bladder, blurred vision, bones, bowel problems, brain fog, depression, living with MS, pregnancy, slurred speech. I was interested to read in your social clips that there is medication for my vision problems. I would be interested in any further information which you could forward me. thank you for all your research etc. I am a 79 yr old female. I have had balance & dizziness for 4-5 yrs. I also have bladder problems, speech & eyes are beginning to bother me. I have had 1 Lhermitte episode last wk. I am scheduled for an MRI in the coming weeks. I have has a triple bypass & 4 stents. I think I have MS. My Dr thinks I am to old to have MS.
Can you have MS early & no symptoms at a later yrs. My doctor said the same thing to me. I’m 54 and was dinosed with MS 4years ago. So don’t stop un till u get a true answer. Yes u can have symptoms and not realize its. Faye from tx. Go to a neurologist that specializes in MS. The MS society has a web site where anyone can put in there city & state to find a dr. Also can call them like I did & got several names in my small town & yes u could have been overlooked by all your drs over the yrs. My 18yr old has been diagnosed with MS …WE have no idea What it is or what happens to people with MS.
I’ve been diagnosed with sclerosis. I’m afraid of the long term effect! And also I’m experiencing major symptoms already: sexual dysfunction;pain and numbness in legs causing difficulty in walking and occasional cramps in legs! I have had ms for 27 yrs. I have to walk with a walker with 4 wheels. I have numbness in most of my body (mostly on the right side). I want a cure period. 2018 was diagnosed with ms..I’m 52 and afraid to get the infusion due to infection..haven’t had many good doctors and found out a lot of doctors don’t know much about ms..wish I had more support. I was told i have ms back in 2016 they think ive had it for years i fell in my drive way lost 70 percent of left eye and 30 percent in right eye they told me id not get it back ive got balance issue have trouble with legs but now its my arms it started in my left arm now its in my right arm the pain pills dont even help and i dont know what to do to make myself better have been going to the gym 4 times a week untill the pain got so bad with my arms can anybody tell me what i can do its been going on now for 3 months ..